Lee Wanner will be taking you through "It's Been Awhile" by Staind in these 12 videos. After introducing the song and going through the gear and tones, Lee will pick apart the verse elements: clean electric arpeggiations, acoustic strumming, leads, and distorted guitar. We'll follow that with the chorus parts - heavy distorted rhythm and lead fills - and then the same for the bridge section. 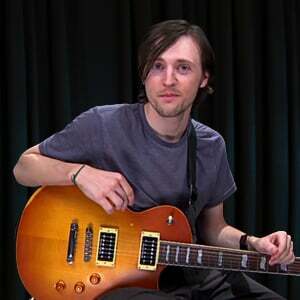 Lee will then do a full performance play-along, and we'll mute all the guitars for the final video.